We are excited to offer a YOGA@School program. We know that yoga is a great way to keep children of all ages healthy, improve their self-esteem, and enhance their ability to focus and concentrate. This program was designed to make it easy and cost effective for parents to introduce their children to this amazing practice through their school or daycare. 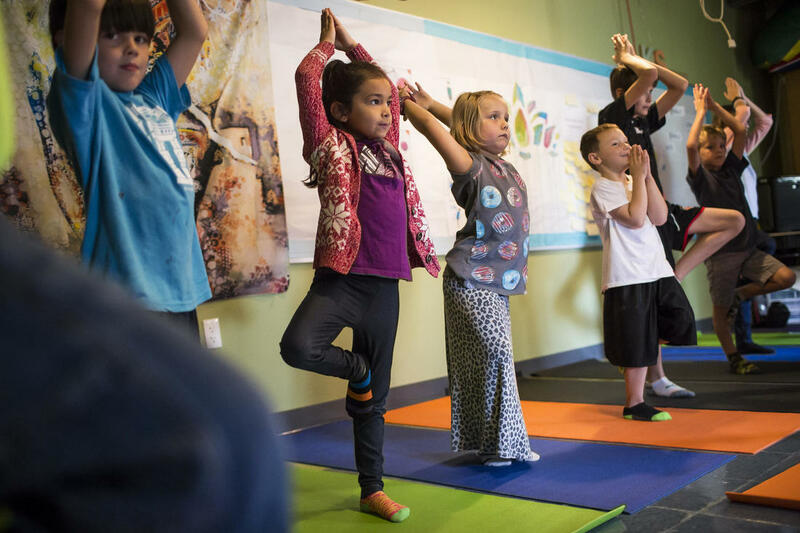 What does a Yoga@School Program look like? Our certified instructors will come to your child’s school, daycare or team practice and teach a 30, 45 or 60 minute yoga class designed specifically for their age group and goals--whether it be to reduce stress, increase body awareness or improve performance for a specific sport. "I just wanted to thank you for the wonderful class we had last Friday. Many of the parents in our class commented on what a great job Jenn did -- despite many distractions from a few antsy little ones! It was clear that she had experience working with young children. Her use of language and images that the young children could understand and relate to made it easy for them to follow along and learn. Parents learned ways they could help their child relax. All in all, it was a great experience for all of us."